- I hated it.... on the day I collected it I ordered something different and a week later binned the girlfriend. You were right. not just for the colour combo though. There are trimmers out there (the good ones) that don't have to do diamond stitch. I wish it would just have stayed in the 70s. edit - got any pictures of the van? Maybe you could do a de-agostini style part works collection type magazine 'Build your own model Activ 8 van' in 243 monthly issues for 4.99 a pop, do the first couple for a quid and have a few tantalising freebies then maybe run for another 12 issues at full price before dwindling to nothing and cancelling the print run and move onto 'build your own working model of the Hadron Collider' in only 658 issues. Last edited by regcheeseman; 22nd June 2018 at 09:46 AM. I'm a mug for contrast stitching and love the 70's... but your right Reg I could of been more inventive. I'd envisaged spraying the van dark grey to match my Audi S8 at the time. Now just got to find a picture of the replacement seating from Darren Archer! Contrast stiching is fine - it's the diamond pattern I have issue with. got, got, got, need, got, need, need, need. eh? wahassat? Sorry, just going through my sticker book. 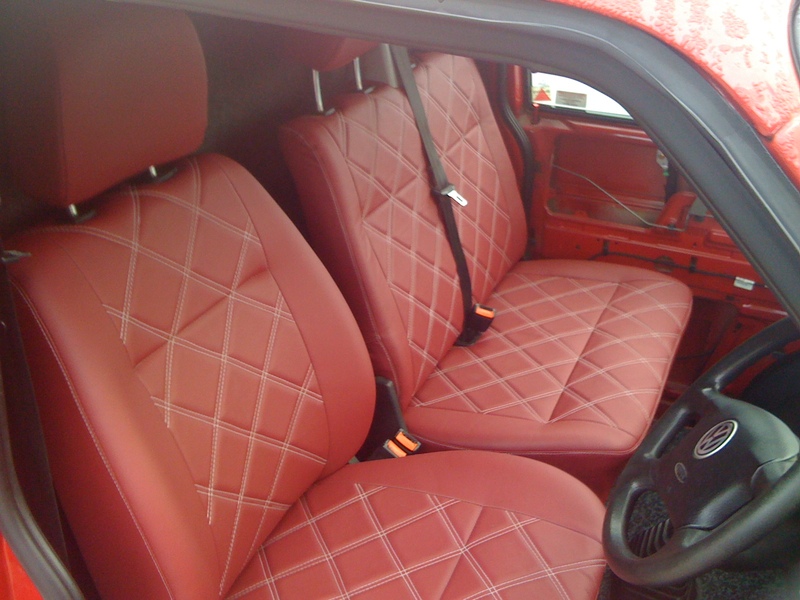 The first interior was originally supplied by Darren Archer Interiors (looking for a picture! 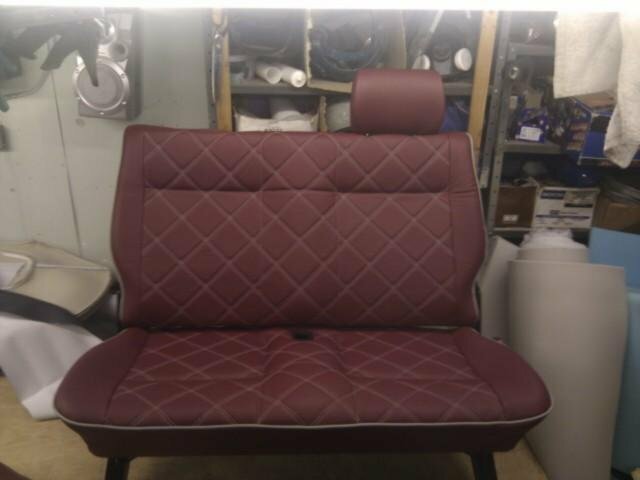 ), a driver seat and double then I had the door cards, an AA rear double and a single passenger seat made by Ade @ Superstitch. 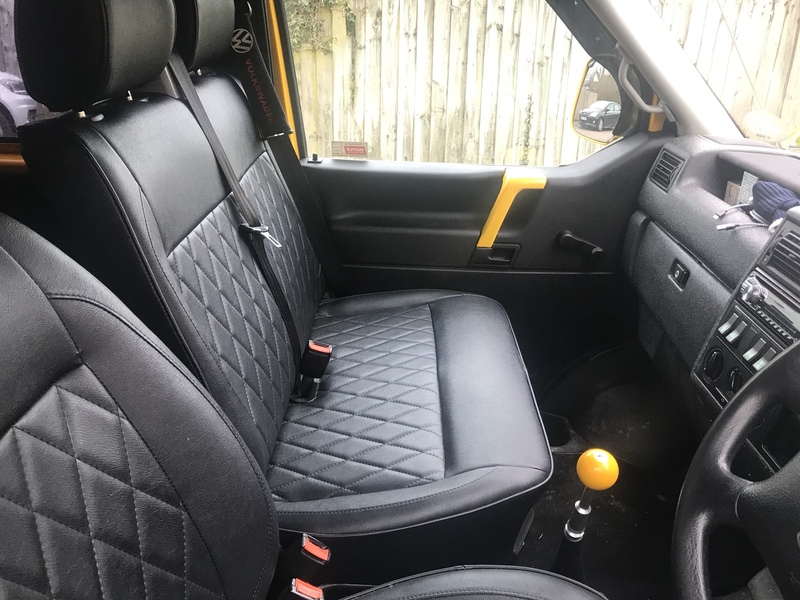 It was all done in very expensive Italian leather (the workmanship was fantastic) , but the girlfriend chose it - I hated it.... on the day I collected it I ordered something different and a week later binned the girlfriend. 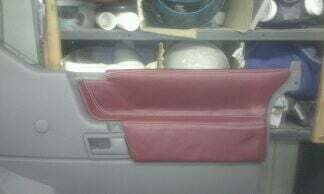 That’s the first aa rear seat I’ve seen done. 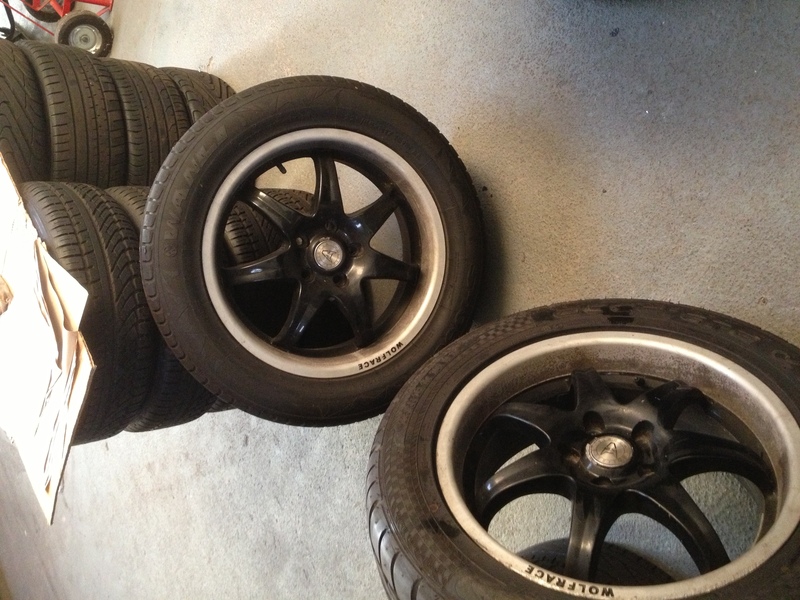 Need to get mine to match the fronts. 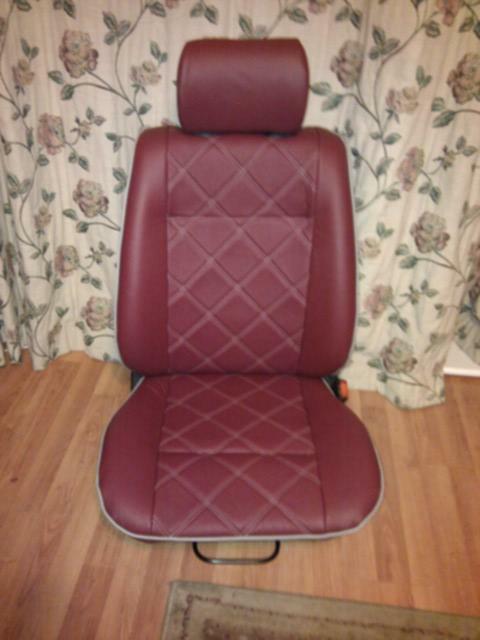 Can’t even find seat covers for then online.